Everyone seems to be online these days, and even if you are not on much, odds are that you have a Facebook, Twitter, Pinterest, Tumblr or Instagram account. With so much of our socializing done virtually, it is no surprise that we are grieving and mourning the deaths of our loved ones online too. Here are a few Dos and Don’ts for grieving online. • Don’t announce the death of someone online unless you are sure that the family, friends and anyone that should know about the death, knows already. The most recent example of this was Wall Street Journal’s breaking news tweet on Philip Seymour Hoffman’s death. Both the death and the details of how he died were tweeted before his family was aware that he had died. • Once everyone knows about the death, it is okay to post details about the funeral, wake, celebration of life ceremony online so that everyone knows, but please don’t create an Evite for it. 1) They depend on the regular checking of email, and since funerals and memorials are generally held somewhat quickly, those invited may not get the email in time. 2) Evites sometimes land in the invitee’s junk folder, which means they won’t receive them, and funerals and memorials are meant to be open to anyone the deceased knew. 3) Evites are only for those that receive an invitation. • If someone is posting a picture of themselves with the deceased, they are doing so to let you know they are grieving, so don’t write snarky comments on that picture. Don’t do it. Just don’t. It isn’t the right time or place. • If a family decides to leave a Facebook page active, a Twitter feed open, or an Instagram account on so that you can write comments, post messages, etc., please think about your audience. Yes, we know you were Tom’s last serious girlfriend before his marriage, and probably the reason he finally got his act together to be able to commit to his wife and have children, but that doesn’t mean you should post old love letters or pictures to his webpage. His wife and all the rest of his family just won’t find it appropriate, and it might make their grief worse. And yes, your position as ex-girlfriend means that you have a right to grieve, and that there is really no place for you to do so, but you will need to stick to your group of girlfriends, or maybe on your own private social media. While the Internet is awesome for giving everyone a voice, sometimes we need to think about our audience. • Don’t write negative things about the dead. Yes, your neighbor was a jerk, but if you didn’t say it to his face before he died, then it’s too late now. If you did, then he already knows how you feel, and there’s just no point in making his family and friends feel worse. • Along those lines, don’t say anything negative about the living posting about the dead. Yes, we are all getting tired of Katie’s sappy (and badly written, I might add) poems that she keeps writing and posting to her deceased best friend’s page, but please don’t say anything. Remember the old adage — if you can’t say anything nice, then don’t say anything at all? Well, remember it. Or at least, if you must say something that’s not nice, then say it to a close friend who has never met Katie. That way you can be sure Katie won’t find out. And last, but not least, those funeral selfies. • If you insist on taking a funeral selfie, try to keep the dead out of the pictures. 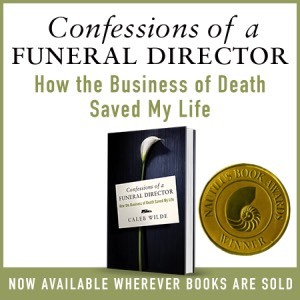 There’s a reason some people don’t go to wakes or funerals — they simply don’t know what to do with that open casket. Or maybe they want their last memory of Grandma to be a living one. If you must take a funeral selfie, please make sure there are no glimpses of Grandma in her casket. It’s bad enough we have to see pictures of your cute cat five times a day, we really don’t want to see your dead grandmother before we’ve even had our morning coffee. 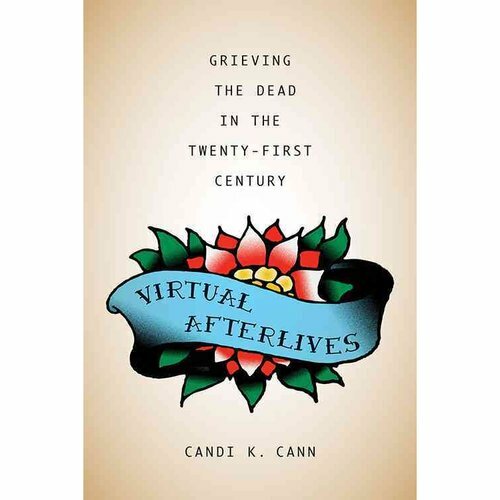 ABOUT THE AUTHOR: Candi K. Cann received both her A.M. and Ph.D. in Comparative Religion from Harvard University, and her research focuses on death and dying, and the impact of remembering (and forgetting) in shaping how lives are recalled, remembered and celebrated. An avid reader, traveler, and lover of poetry, her passions are spending time with her family and friends and living well. You can follow Candi on Twitter and pre-order her upcoming book, Virtual Afterlives: Grieving the Dead in the Twenty-First Century.